Bruno returned to his wife, but he was far from a model husband. He frequently used blasphemous and obscene speech, committed adultery, beat his wife and had forbidden her from going to a Catholic church or practicing her faith in any manner. 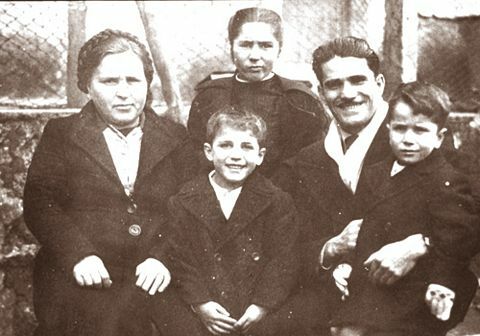 He joined the Seventh Day Adventists and plotted to kill the Pope on the Feast of the Nativity of the Blessed Virgin Mary, September 8, 1947. One of his children lost his ball and asked for his help. He followed this child but saw his youngest child kneeling at the entrance to a cave. The child’s face was radiantly joyful as he stared into the cave, repeating, “Beautiful lady, beautiful lady.” His hands were folded as if engrossed in deep prayer. Bruno looked into the cave and could see nothing that would account for the boy’s action. He then turned toward his other two children, but by then, they too, had dropped to their knees, hands folded in prayer with their eyes transfixed on someone in the cave. 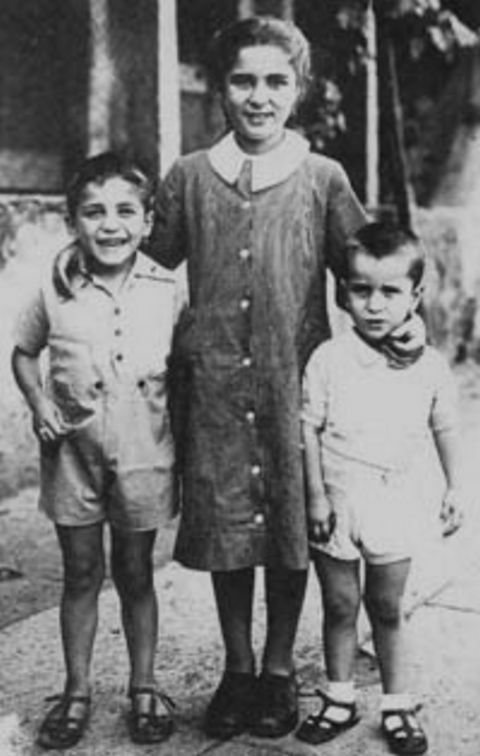 The three children were mesmerized by something supernatural that he could not see. Seized with fright, Bruno tried to grab his children and carry them away, but he could not move them! It was as if they were glued to the ground. Then, in the midst of an intense perfume of flowers, Mary appeared to Bruno as well. An intense light filled his eyes for a moment, and then everything in front of him disappeared – his children and the cave. He felt himself becoming weightless. After this momentary blindness, Bruno saw in the most illuminated part of the cave a woman of indescribable celestial beauty. She was dressed in a long, brilliantly white dress with a rose-colored sash. Over her black hair was a green mantle which extended to her bare feet. Her head was adorned by a halo of brilliant golden light. Her face had an expression of motherly kindness, although cloaked by sadness at times. She was holding a dark gray Bible close to her heart. At her bare feet lay a black cloth which had a smashed crucifix on it. Her hands were crossed at her breast, but she unfolded them once to point to the broken pieces of the crucifix. “I am the one who is of the Divine Trinity. I am Daughter of the Father, Mother of the Son, and Spouse and Temple of the Holy Spirit. I am the Virgin of Revelation. Mary then spoke at length about many things with Bruno that afternoon, including her Assumption into Heaven. “My body could not decay and did not decay. My Son came for me with His Angels.” She revealed the sad condition of Bruno’s soul to him. She was admonishing a return to God and a more literal living of the holy Gospel: “Return to the pure source of the Gospel.” At this point, Mary taught him the sure means of salvation for him and all mankind – which is prayer, and in particular, the daily praying of the Holy Rosary. 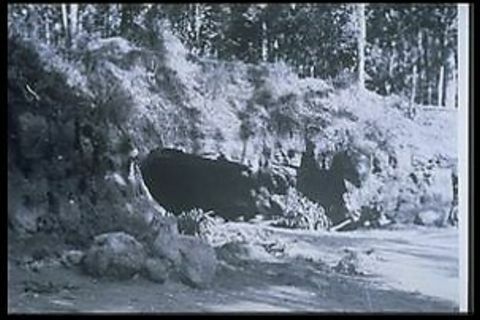 The cave in the park where Blessed Mary appeared. Having said that to Bruno, she turned and serenely moved in the direction of St. Peter’s Basilica. Still transfixed in an ecstasy, he could not move for a few moments. Bruno and the children cleaned the grotto as best they could, and he chiseled the date of the apparition with his house key on the spot where the Virgin had stood. 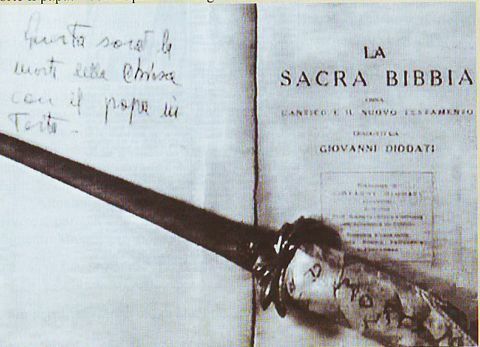 Bruno’s conversion took place immediately, and he eventually gifted Pope Pius XII with the dagger he had planned to kill him with. (Mary had directed him, as predicted, through priests to the Pope.) He passed police interrogations and psychiatric examinations. 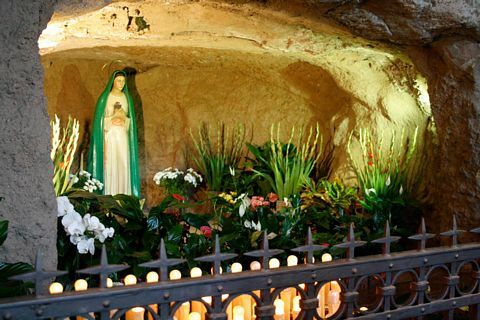 True to Mary’s promise, the dirt from the Grotto of Tre Fontane has proven to be miraculous. It has worked wonders for the welfare of both bodies and souls. 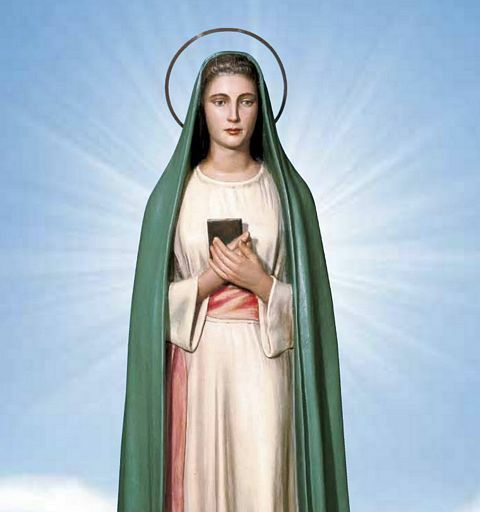 There have been so many bodily cures and conversions that no one disputes that these graces have been received through the intercession of the Virgin of Revelation. “The Virgin of Revelation” appears to Bruno and his children. Mary appeared to Bruno three more times. He repented his sinful life and became an outstanding Catholic. Like Paul, he dedicated his life to evangelizing and teaching the truths of the Catholic Faith. From that moment on, the grotto has been a gathering place for thousands of the faithful. Every April 12, the Apparition is commemorated with a solemn celebration. 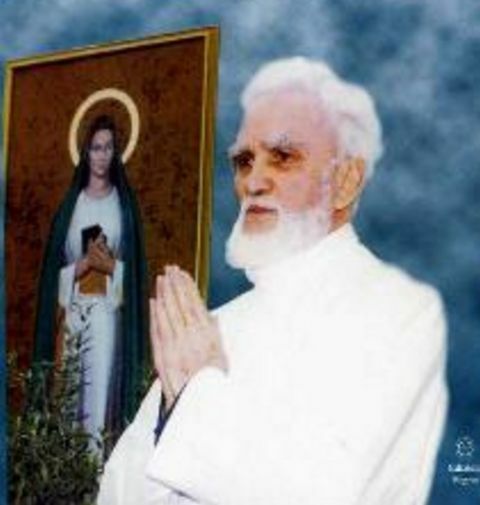 On April 12, 1980, on the 33rd anniversary of the Virgin’s visit, approximately 3,000 people, including 25 priests, had gathered to hear Bruno recall the first apparition and attend a Mass. Suddenly, during the Holy Sacrifice, they were astounded by a supernatural display in the sky. 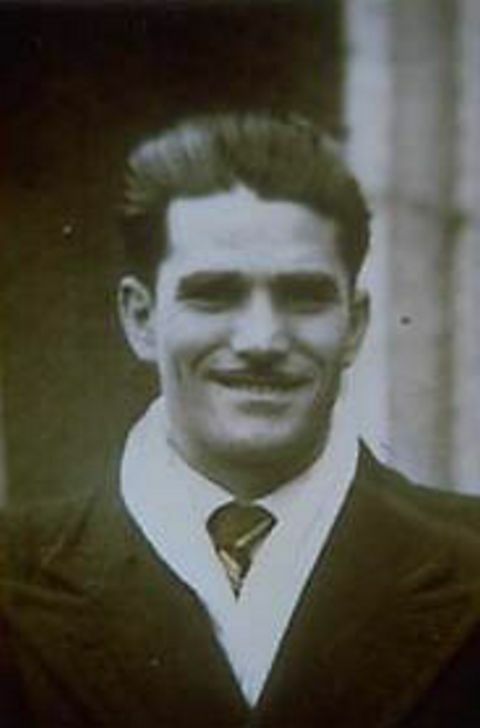 Bruno Cornacchiola is immediately converted by this experience. The phenomenon lasted about 30 minutes. Meanwhile, the Mass that had been in progress was halted so that the people could calm down and return their attention to the service. There were many physical cures. A medical center was set up; after extensive research, it was confirmed that the cures were indeed miraculous and beyond any medical or scientific explanation. Many years later, Bruno still speaks about his amazing experience.